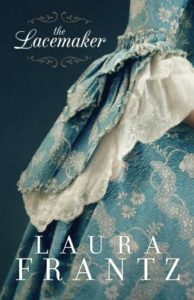 The Lacemaker by Laura Frantz is a marvellous Christian historical novel that informs whilst entertaining. Set towards the end of the eighteenth century life is precarious in America as people are unknowingly heading towards the War of Independence. Loyalties split families into opposing sides. Spies and double agents, love and loyalty, plots and arson were the order of the day. Family meant nothing. It was all about where your loyalties lay. Everyone had to choose – which reminded me of the choice we are given in the Bible – to choose to follow King Jesus or not. There were times when the only avenue was prayer. One had to try “to replace panic with prayer.” God hears our prayers and He answers.